A few weeks ago, Amnesty International, along with other international organizations, has expressed heavy concern over the possibility of danger, including torture amongst other human rights violations, to journalist Khudoberdi Nurmatov (also known as Ali Feruz), if forcibly returned to Uzbekistan.Nurmatov’s lawyer, Maria Kurakina, stated, “there has been no extradition request from Uzbekistan. There have been no charges against him on alleged involvement into extremist activities or justification of terrorism. 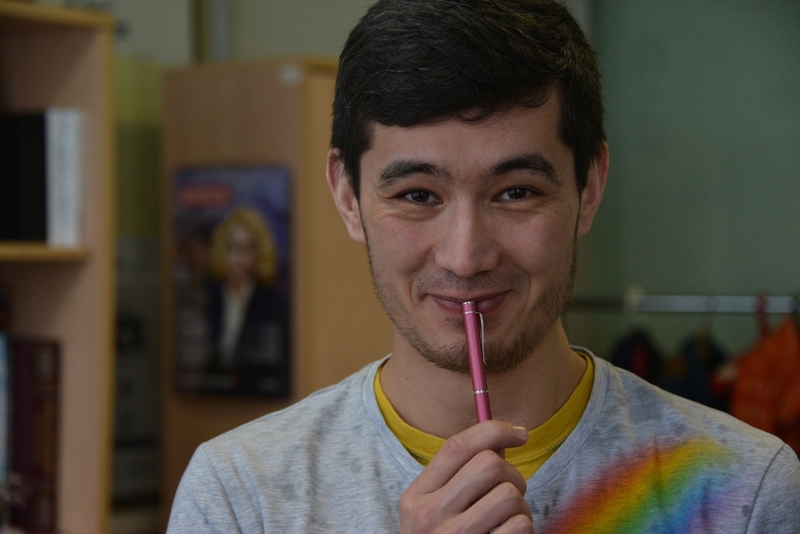 His staying in Russia has been absolutely legitimate as he applied for asylum and the decision is still pending.” After Nurmatov’s Uzbek passport was stolen in 2012, under threat of arrest, he did not travel to Uzbekistan to retrieve a new one and instead applied for asylum in Russia, his mother’s homeland and his country of birth. 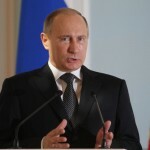 On March 17, Dmitry Peskov, the press person of Vladimir Putin, announced that “the Kremlin is unaware of any asylum application submitted by Nurmatov.” These claims were refuted by Novaya Gazeta which had published the correspondence between the President’s Administration and Dmitry Muratov, the editor-in-chief, on Nurmatov’s asylum request. Ali Feruz’s story is not uncommon. Uzbekistan is ranked 166th out of 180 countries in RSF’s 2016 World Press Freedom Index. There have been multiple documented reports on the widespread use of torture in Uzbek prisons. Several Uzbek citizens who had been seeking asylum or had been granted refugee status have gone missing in Moscow to reappear in Uzbek jails. In Amnesty International’s Fast-Track to Torture: Abductions and Forcible Returns from Russia to Uzbekistan, published in April 2016, research found that hundreds of asylum-seekers, refugees and labor migrants have been abducted or forcibly returned from Russia to Uzbekistan since 2014 in total violation of Russia’s international human rights obligations. Additionally, Russia frequently employs administrative means, such as deportations for administrative offences, to return individuals to Uzbekistan where they face precedented risk of torture. Furthermore, Russia does not conduct effective investigations into these abductions when raised. In the case of asylum seeker Sarvar Mardiev, officers of the Russian Federal Security Service (FSB) apprehended him on March 4, 2016, but his whereabouts were undisclosed until October 2016, when the Uzbek authorities confirmed his detention in Kashkadaria. Olim Ochilov, a 27-year-old Uzbekistani asylum seeker, was forcibly returned from Russia to Uzbekistan despite interim measures issued by the European Court of Human Rights. 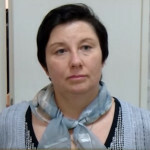 Russian authorities ignored the European Court’s decision and proceeded with Ochilov’s forcible return in direct violation of legal obligations. Ochilov’s Russian lawyers have been unable to establish his whereabouts in Uzbekistan. In the case of forcible return of Davron Komoliddinov, human rights defender Nadezhda Atayeva of Association for Human Rights in Central Asia (AHRCA) told Forum 18 that he was indeed being tortured after an unfair trial. Fully and systematically comply in practice with all Rule 39 interim measures and judgments of the European Court of Human Rights, in particular in relation to cases of return and extradition. Ella Shen is the Eurasia Regional Action Network coordinator at Amnesty International USA. Ali Feruz, photo by Viktoria Odissonova, Novaya Gazeta. This entry was posted in Asia and the Pacific, Censorship and Free Speech, Torture and tagged Ali Feruz, Eurasia, freedom of expression, journalist, Khudoberdi Nurmatov, russia, torture, Uzbekistan by Guest Writer. Bookmark the permalink. Such a great story regarding return form Russia,i really like to visit here,as this article contains so many useful information regarding different countries especially Russia,it is more useful for students,as they migrate to different countries for getting an education,so they can easily get the relevant information about that countries through this informative article.As majority of folks are getting their assistance through online resources so they will also find this resource for their academic assistance like Dissertation Help. So individuals can get so many useful information regarding education and career too for their future from this useful article.As i have seen many individuals that they are following online platforms for their every type of assistance and it is the best and reliable way to get your work done.And i am looking for more useful ways to go through with online technology as i have got so many new ways through this article.Thanks for sharing it. by visiting this sitehelp with c# programming assignment I found cool stuff here keep it up. This the voice of those who are abused. Thanks Amnesty.